The Italian shipyard Codecasa is now working on three new build projects. Firstly, there’s the second model of the 42m Vintage (Hull F75), a steel and aluminium displacement sistership to Hull F73 launched in 2011 and will be ready by Summer 2013. 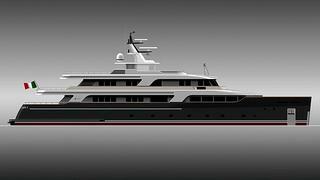 Codecasa also started construction of the Vintage series flagship, the 50 metre Hull C121, with delivery scheduled for Spring 2015. Finally, the yard currently has the first example of the open series Codecasa 50s (Hull C120) under construction. This new build is a development of the previous 35, 41 and 45 metre series. As before, this yacht will be built in aluminium light alloy to a design by Andrea Bacigalupo with an interior by Anna Maria and Franco Della Role, and will be ready in Summer 2013.